Why study Medicine in Romania? Romania is a fantastic country. It located in southern Europe and is connected to the Black Sea, so you will have the chance to enjoy its beaches. However, there are also very nice mountain landscapes where you can ski in winter and go for a walk in summer, passing along palaces and castles, rivers and lakes – a wonderful nature variety and impressive buildings of past times. The cost of living is really low and you do not need much money to buy everything you need. 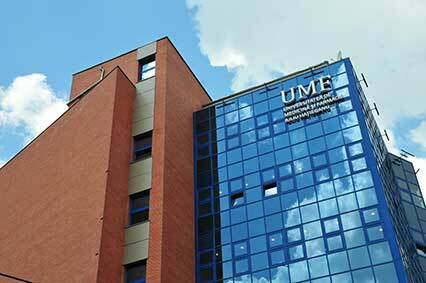 Another advantage of studying in Romania is the good universities of the country. You fill find high-quality studies which will make you an excellent doctor. Romanian universities pay a lot of attention to the European standards and the quality of its academic offer. They are well-equipped and the professors and teachers are very competent. In Romania, two worlds are connected: modern cities with good universities and infrastructure on the one side, and small villages and traditional lifestyle on the other side. This contrast makes the country really interesting and it is really worthwhile to discover it. Romania is a country “on the move”, where you should absolutely study Medicine.